If you hear Friendsgiving, your head will tell something about thanksgiving. And well, it is exactly that, but you just celebrate it with your friends instead of family, for which thanksgiving is traditionally about. 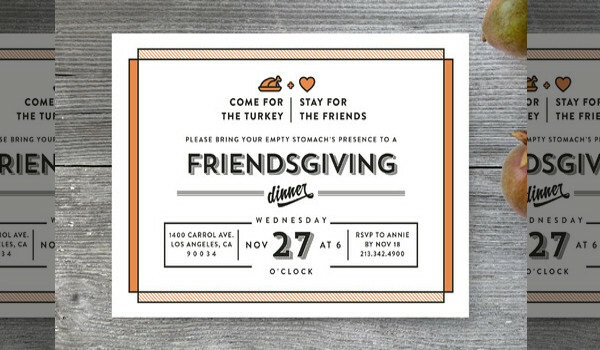 So in case you too always have a lot of leftover after the main dinner, you can invite your friends to your place the next Friday for Friendsgiving and to help you with the invitations, we have this amazing range of modern and cool Friendsgiving invitation designs and mockups. You may also see Printable Party Invitations. 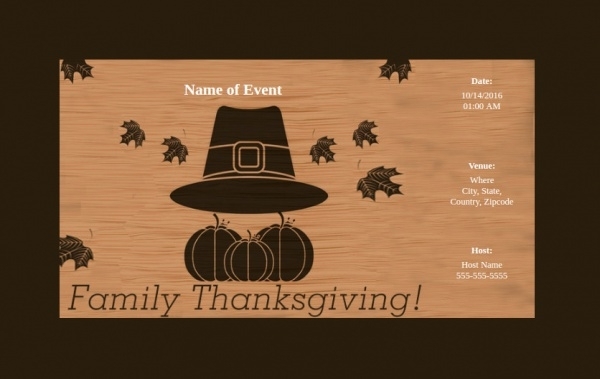 You can use one of these free or affordable invitation designs and customize it with your requirements and prepare for an awesome time with your friends over a cool dinner party and use the same or a different design for even thanksgiving invitation. 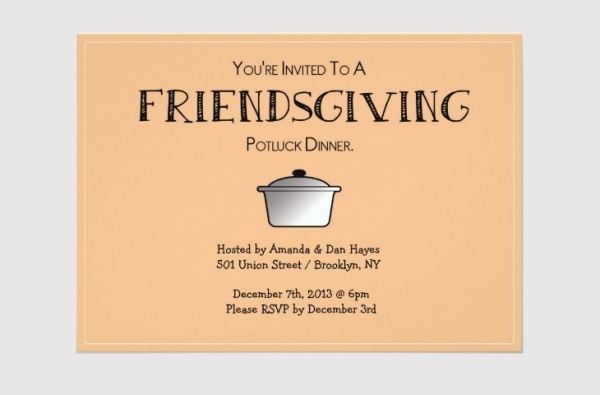 You may also see Potluck Invitations. Here is a design by US-based graphic designer Rachel Funk who has shared this cool design that seems pretty much hand illustrated with just design outlines to give it the neat and clean look. The design looks quite elegant sitting on the wooden table as it has been shown in the given link. You may also see Surprise Party Invitations. 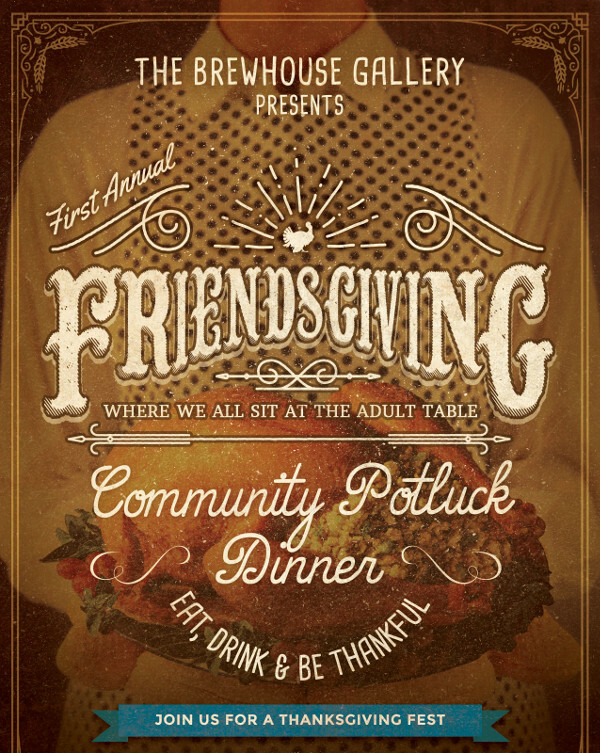 Check out this design for a community potluck dinner that can be turned into a Friendsgiving dinner party. This design has been shared by AJ Brockman and you can download the attached design file from the below-mentioned link. 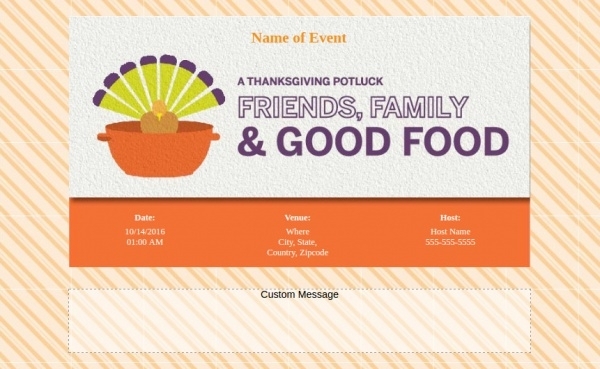 Here is quite a corporate-looking design for a thanksgiving dinner invite that looks quite formal and can be easily edited by just typing in the venue and host details. Check out the mentioned link to work with this design. Here is another design that has been shared by a US-based designer named Kathleen Edison. The design looks very elegant along with the menu design that can be used by any fancy café for their food item. Here is a really cool design that uses textured pattern as the background with a heart and a vine under the illustrated owl. 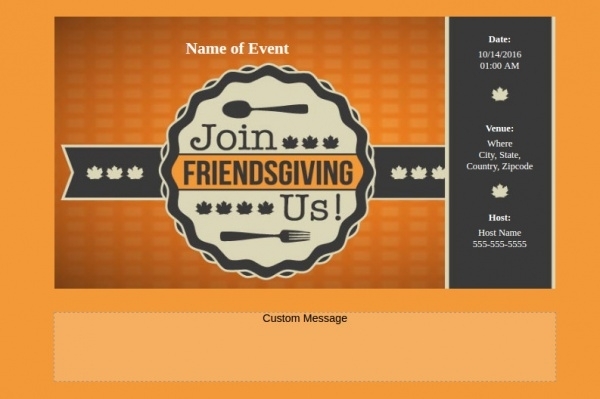 The design is for a Friendsgiving dinner party and can be personalized from the link itself without having to download and working on it. Doodles, illustrations, and hand-drawn artworks are something everyone is using this season. You too can do something similar to this design that looks really great with the colorfully outlined illustrations. 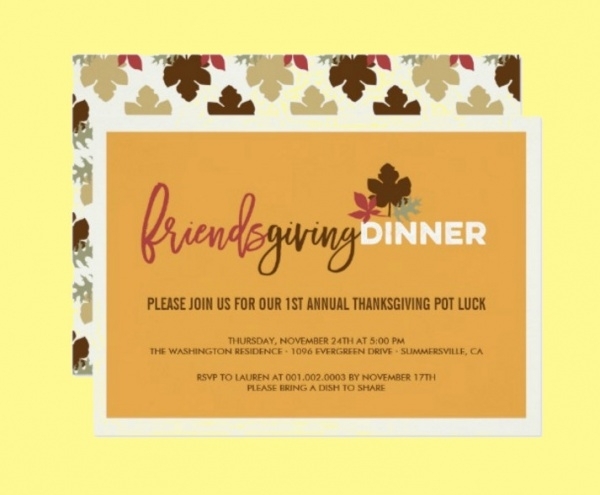 This is another thanksgiving dinner invite that you can customize to make it meaningful for your Friendsgiving dinner invitation. From the link provided below, you can actually go ahead and order cards for yourself. And in case you want to print them on your own, you can look at the design for reference. Just using a great typeface for your text on a simple background can give amazing results like this chalk finish novelty typeface with ornaments that give such an elegant look to this design. Here is a design template that you can download on your system and edit and customize the design and various other content using Adobe Reader. 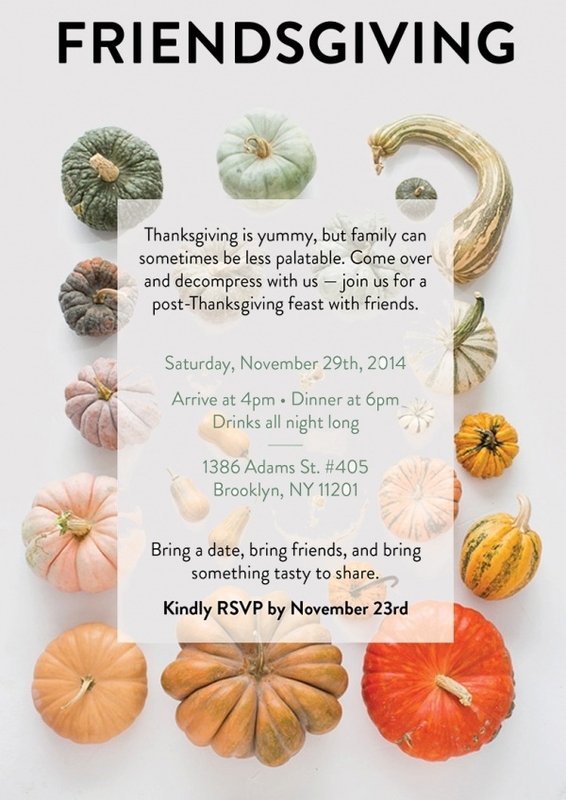 Check out this rustic looking Friendsgiving invite that you can order as invitation cards for yourself to post. 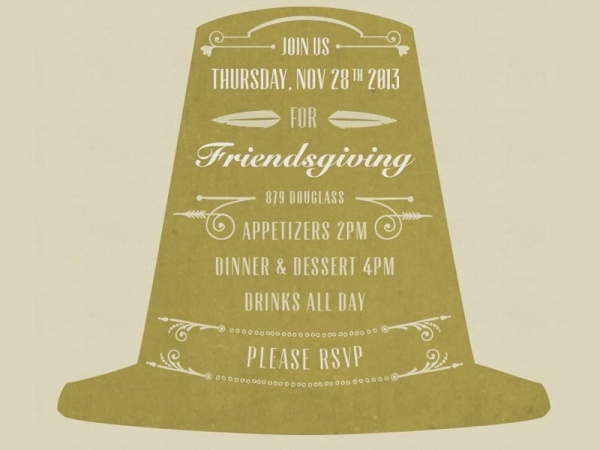 Or you can just look at the design for reference for your Friendsgiving invite. Here is a cool design idea where you entire text content has been placed on a background of a different color that forms the shape of a new item altogether, like the hat in this design example. 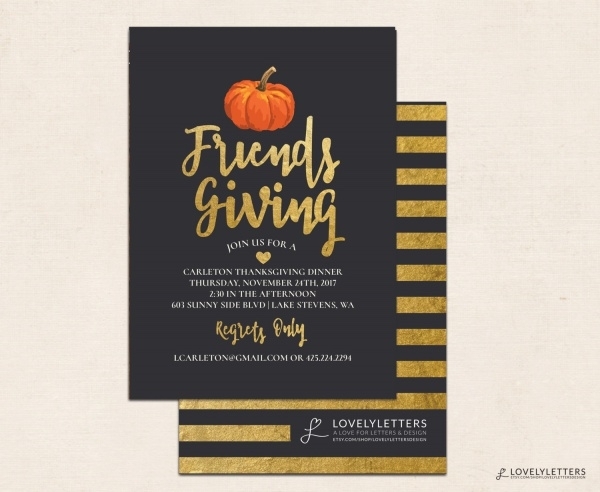 Fill in some elite colors the glitter of gold to add some funk to your party invitation. 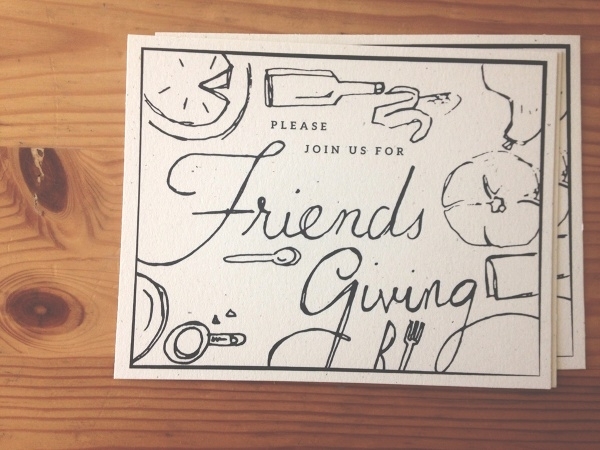 Check out this abstract design that you can customize and use as your Friendsgiving invitation. 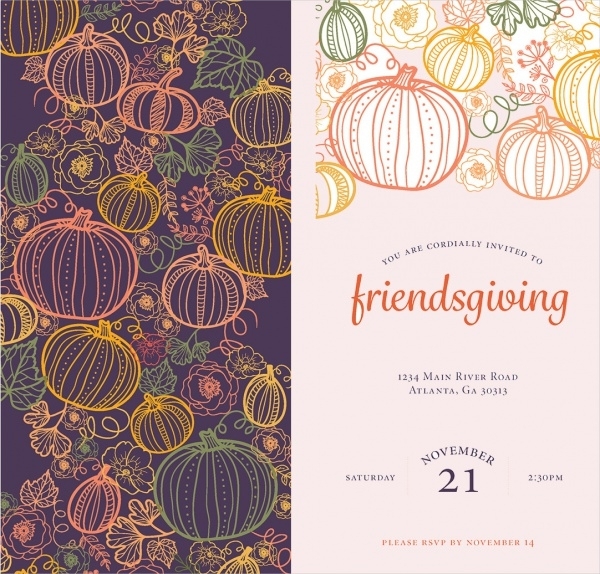 Here is another abstract design that looks quite great for any invitation design, and not just the potluck Friendsgiving dinner party it is designed for. 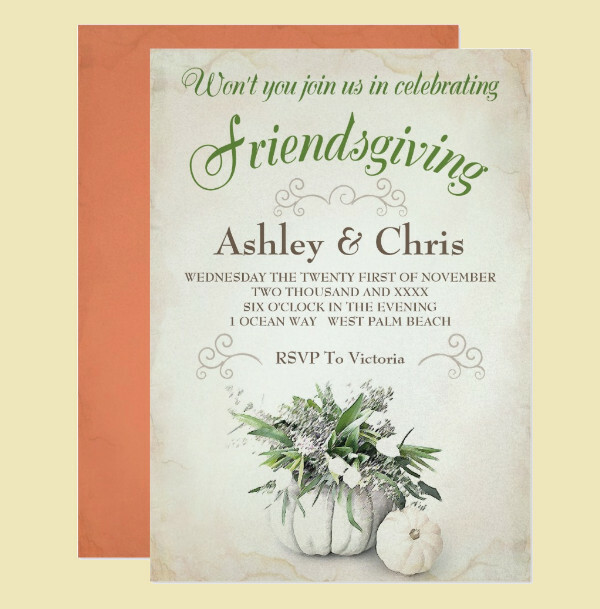 Now that you have seen so many examples of thanksgiving and friends giving invitations, it would only make sense for you to look at these beach party invitations and try to find a way to have them all together.